Red Fox in the Hen House! Whenever I speak with our farmers, their resident Red Fox most always comes up…that is, the fox’s relationship with their chickens. So here is a bit of history to help you understand your Red Fox and how you can live and farm well with them. When the Europeans came to the American continent, Europe had long before eradicated all the large predators like wolves and bears. The ones that remained were relegated to remote mountain areas like the Alps and Pyrenees. As we know, from our history, the settlers swiftly eradicated the large carnivores from the eastern United States, but the fox remained. 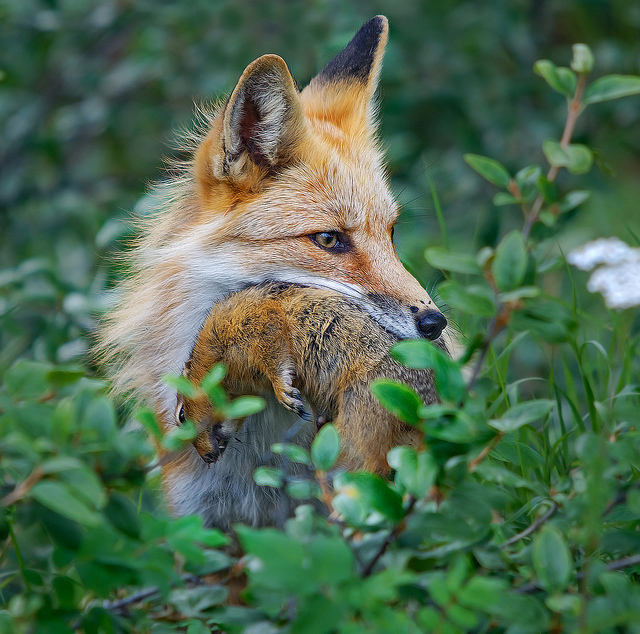 Because no animal husbandry practices were used to protect the farmer’s chickens and other livestock, the fox took advantage of these easy meals. Those that were caught doing so were simply shot. Those particular foxes did not learn anything. But those that did get away with it, taught their kits that this was their food, and how to procure it. So from generation to generation the vixen has passed down to her kits this way of life. As a result, farmers have lost many chickens over the past few centuries. Please look at the photo above. This is who we want our foxes to eat ~ their wild prey. Our foxes are NOT playing their important role on the ecosystem of your farm if they are killing your chickens! And because our foxes have gotten in to this bad habit over the centuries, sometimes it is very challenging to let them know that it will be very dangerous for them if they try it on your farm. And that danger is not to be shot, but being challenged by a guardian dog, Llama or Donkey, or being zapped by an electric fence. If you have an insistent fox intent on taking your chickens,know that you need to be very consistent in your animal husbandry practices. 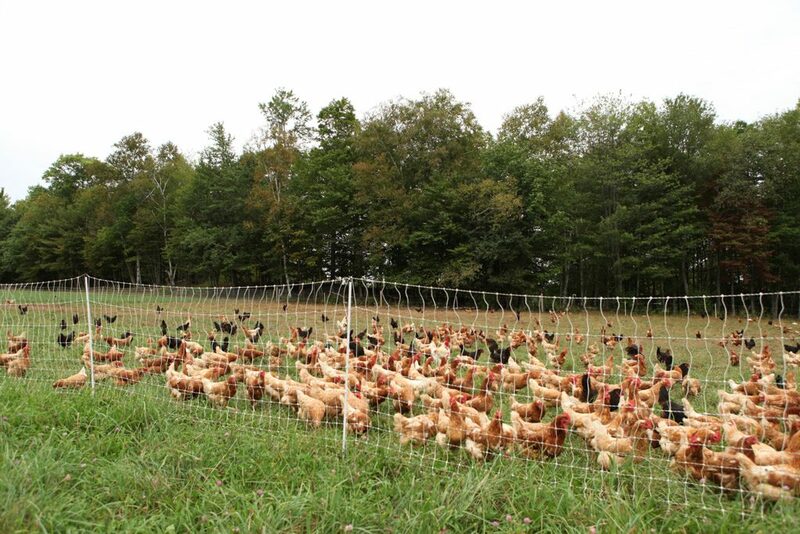 You MUST keep them secure in their coop at night, and during the day they will need a guardian and electric fencing. If you “stick with it” your fox will finally get what you are trying to tell them: “There is NO easy food here for you!” Then keep that fox on your farm, because they understand what you are saying, and will pass it on to their kits. Again, this is an important part of the Farming of the Future ~ You need to know your carnivores, look at your farm from their point of view, and learn how to speak to them in a language they understand. Farming at its Best! So sharing with you here a great article in Cornucopia’s Newsletter about this very important perspective. Scroll down to page 5 where they write about the unsung heroes of a balanced farm ecosystem. 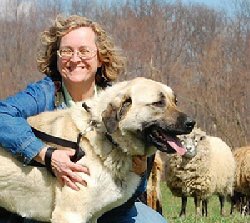 Author, Farmer, and Guardian Dog breeder Jan Dohner shares her experience and knowledge here you. Guardian Dogs know what their work is about. They don’t need the farmer to teach them that. BUT ~ when they are new to your farm, there is much for them to learn about the specifics of YOUR farm. It is exremely important that you take the time to teach them…..if you want them to be successful guardians. 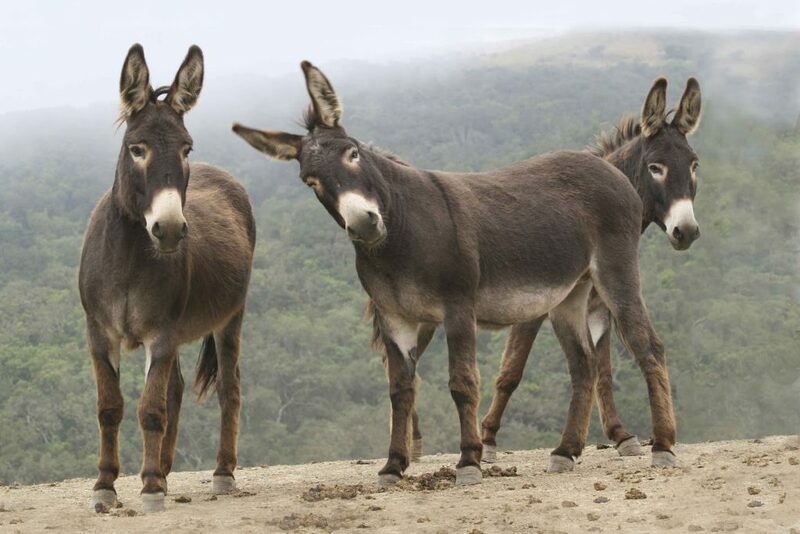 The following is shared by Jackie Church of Windance Farm in Upper State New York. 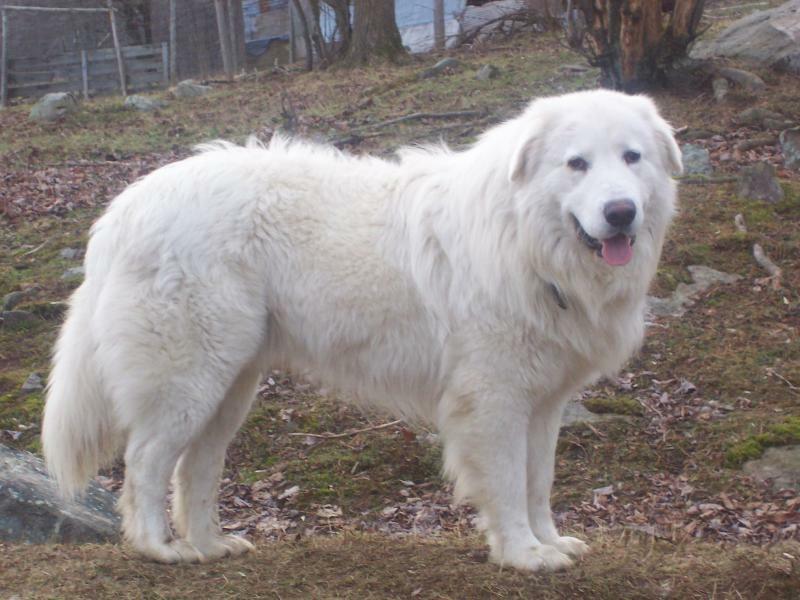 She is a responsible breeder of Maremma Guardians, and shares her knowledge and experience in a Manual she has written for farmers. Here is one section on introducing your guardian to your farm. You must set your dog up to succeed. This applies to a new adult dog, and to the brand new young puppy that arrives at your farm. You need to know what to expect from your dog and what ages you can expect it. Some dogs are exceptions in both the negatives and positives. You may have a dog that could never fail, no matter what you did. Then you have others who take longer to mature, and make you scratch your head more than anything in your life. Again, what you put into this dog – is exactly what you will get out of this dog. If you toss a dog in the pasture alone, then you will get exactly what you are putting into it. Yes, the dog may (and an adult should) know how to keep predators out, mark the boundaries and bark. But all the rest? The relationship it should have with the stock, with you, what the boundaries are, where and what – all that the dog does not know. In all of the old world countries that use guardian dogs, they do not run just one dog. They work the dogs in teams. There is a smattering of ages –from some old dogs to very young dogs. The older mature dogs that know their jobs are the teachers of these young pups. This is done by example and correction. If you take a young pup and place it in the field without an adult dog who knows the ropes –then YOU become the teacher. YOU become the mentor. YOU become the one to provide the instruction. If you do not, any failure of the dog is not because of the dog, but because of the lack of guidance and training. 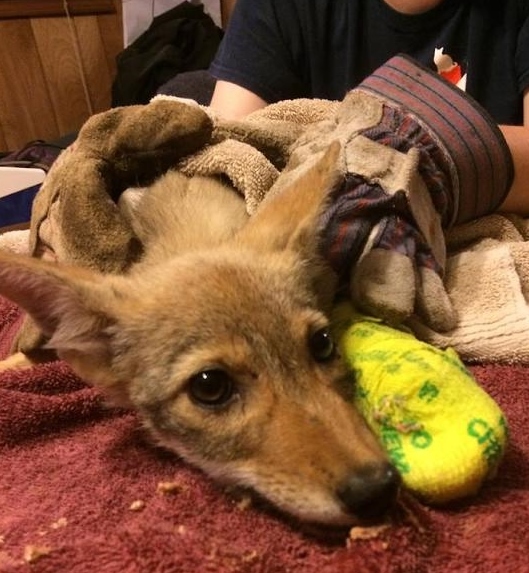 WHAT DOES A 9 WEEK OLD COYOTE PUP …THAT HAS BEEN SHOT….. HAVE TO DO WITH YOUR FARM? The answer is….a great deal. I am a wildlife biologist whose work focuses on carnivores. A Vet contacted me and shared how this coyote pup came to her. 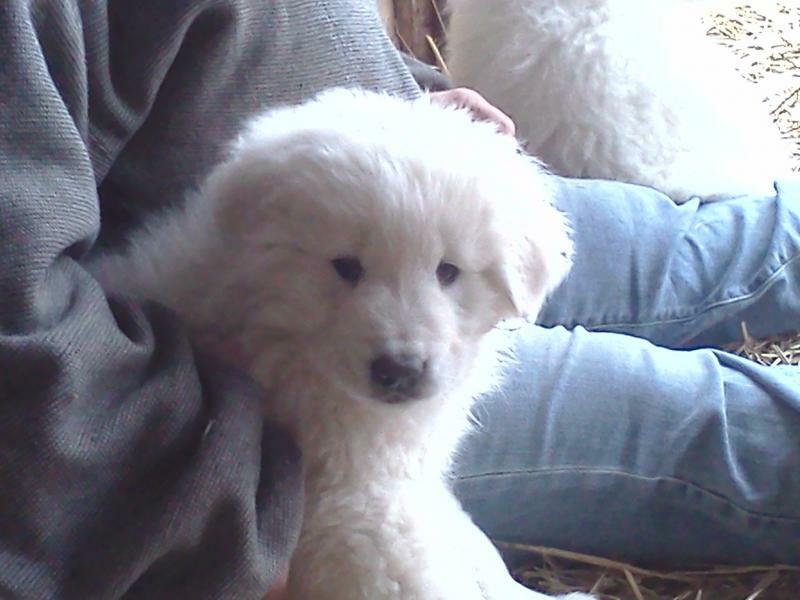 Evidently an individual killed this pup’s parents and she was wondering around unprotected by them. It appears that same individual shot this small pup (but was a bad aim), so the bullet went through her paw. Her paw being very little was badly damaged, bones and flesh torn apart. So what does this pup’s story have to do with you. 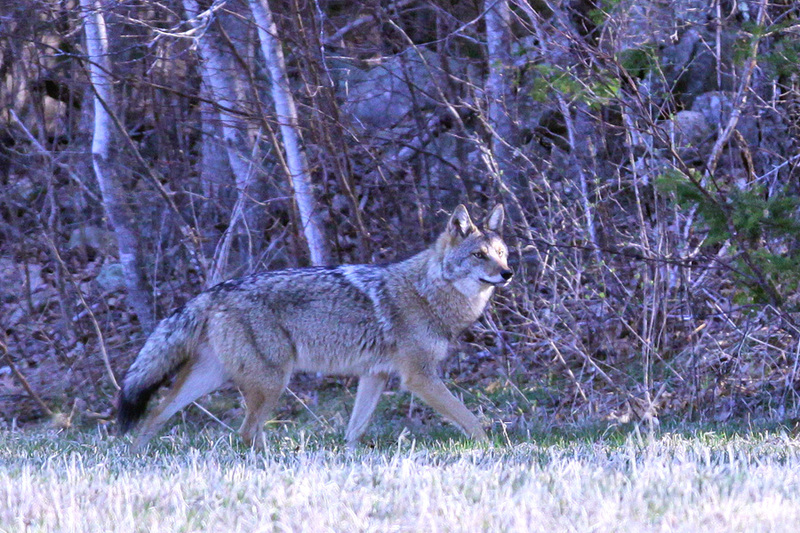 So often when I work with our farmers in Maine, I share with them that farming well with carnivores entails 2 important aspects: When speaking about coyotes the first aspect entails keeping a stable coyote family present on your farm. In this situation the parents have the opportunity to teach their pups how to be excellent hunters of their wild prey, and when they are…they are not hungry. The second aspect is using good animal husbandry practices, as you can read about on this website. So this pup has lost her parents. She is too little to know how to hunt effectively (At this age she is completely dependent on her parents). So if pups are left to struggle for survival……they will seek out your farm animals more readily, and will continue to do so as they grow up…if they survive. So be aware of what goes on around your farm. There are many enlightened farmers here in Maine who share with their community members the need to leave their coyotes in peace. And what a difference it makes! One last comment regarding this pup’s story. It makes me believe that our young people care about all life on the farm. That is the Farming of the Future. This is how the pup made it to the Vet ~ The granddaughter of the individual who attempted to kill this pup, saw what happened and ran to a neighbors where a young man sought out the vet. 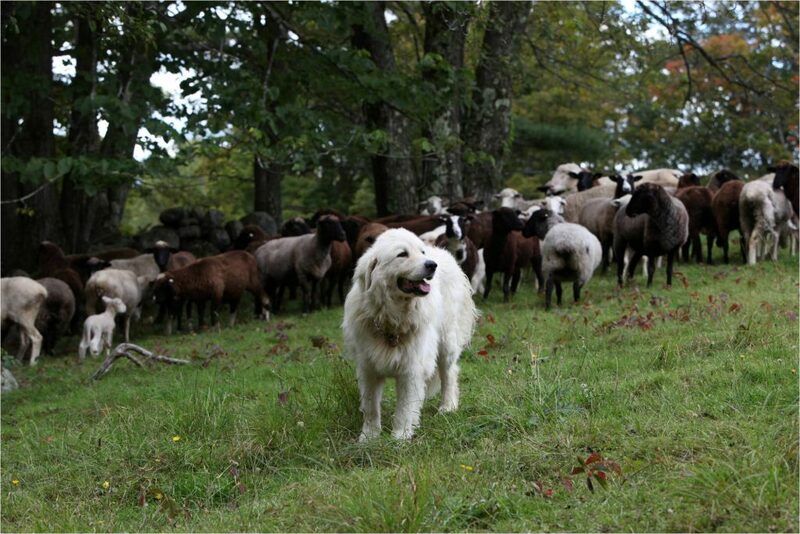 A successful livestock guardian dog, like this adult Great Pyrenees, is an invaluable member of your farm. There are important actions that you can take to help them be successful. 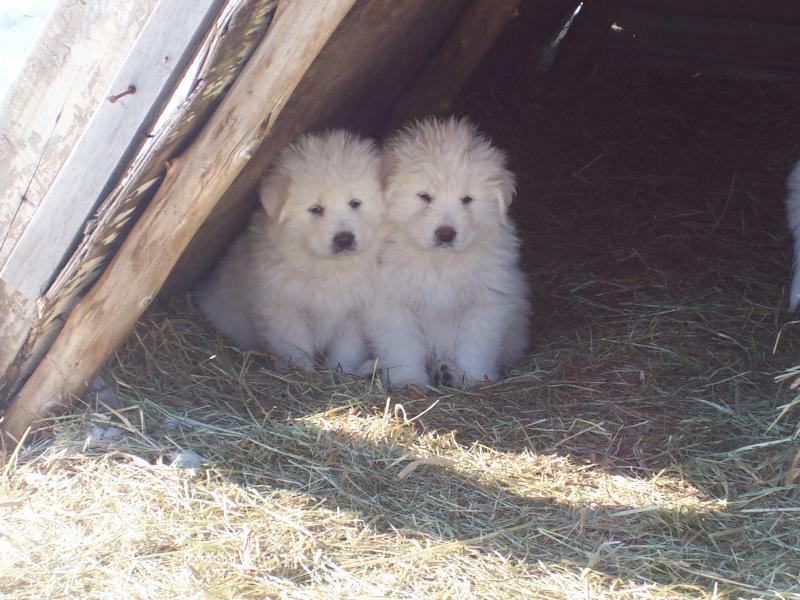 In the link below, Cat Urbigkit, a successful rancher in Wyoming, who uses guardian dogs to protect her sheep, offers 12 of those key factors. Valuable information coming from years of experience! Along with our farmers, guardian dog experts and fencing experts, our scientists are an integral part of our effort to support our farmers and community members in learning how to live well with carnivores with whom we share the land. Learning about our carnivores on many different levels is essential to living well with them. SO HERE IS AN OUTSTANDING BOOK, NEWLY PUBLISHED IN 2016, WRITTEN BY A HISTORIAN SCIENTIST. 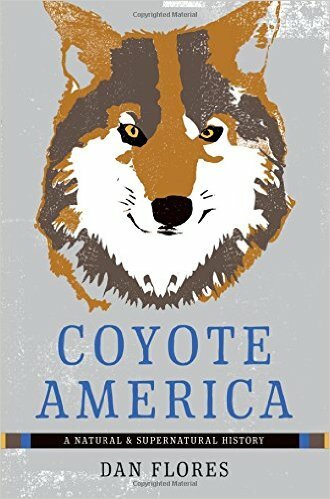 Read it…and you will gain a deep understanding of who Coyotes really are and our human relationship with them. It will give you the opportunity to step back and view our relationship with this highly evolved canine.